Get your favorite truck for an amazing deal during the RAM Spring Sales Event! The all-new RAM 1500 is the pickup that makes any hard task look easy. Whether you’re on the site or conquering your greatest adventure, this durable pickup has your back. 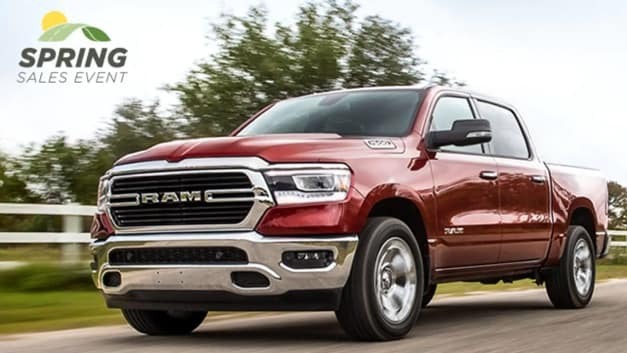 More performance, more efficiency, the 2019 RAM 1500. View our current incentives & visit Antioch RAM today. Serving Chicagoland truck shoppers.